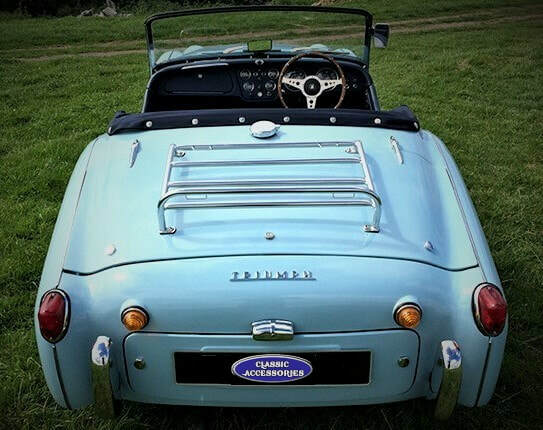 ​We are manufacturers of premium quality, car trunk deck luggage racks that are suitable for many classic and vintage cars, modern roadsters, convertibles, custom cars and some specialist vehicles. 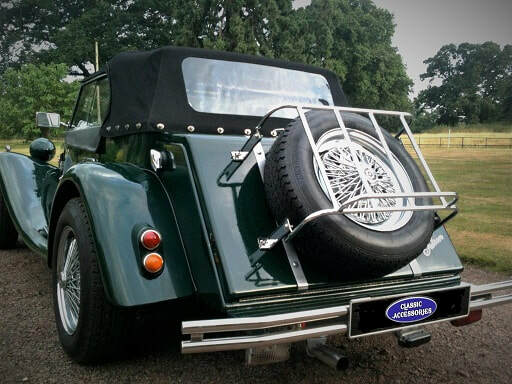 Please click on any of the following images for more detailed information, or use the drop down menus shown at the top of this page under "Permanent Racks", "Temporary Racks", or look for popular cars under the Classic and Modern Cars headings above. 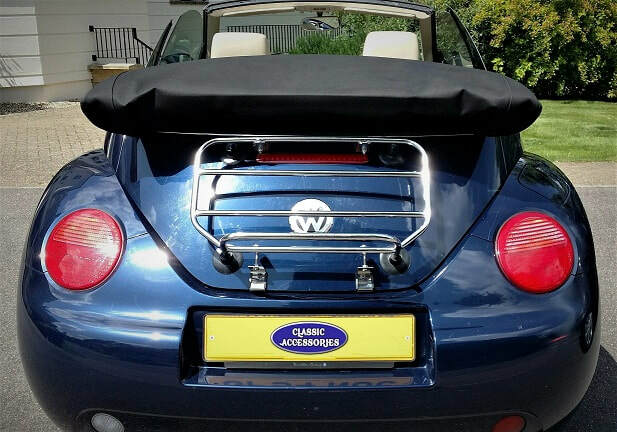 As part of the Classic Accessories group, our UK based warehouse carries the most extensive range of car trunk luggage racks available online worldwide. 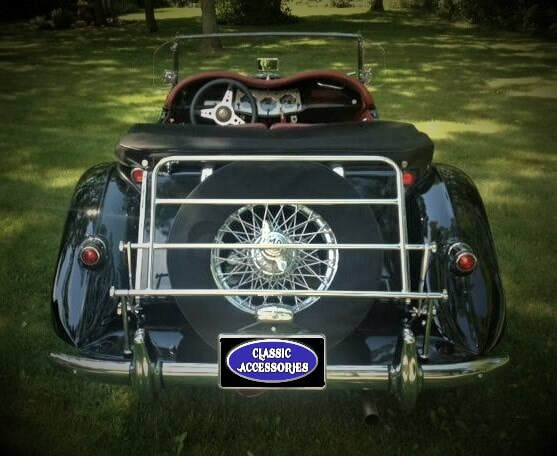 We stock Traditional and Classic style luggage racks for older classic and vintage cars such as MG, Jaguar, Triumph, Alfa Romeo, Mercedes, Fiat, Jensen, Austin Healey and many others. 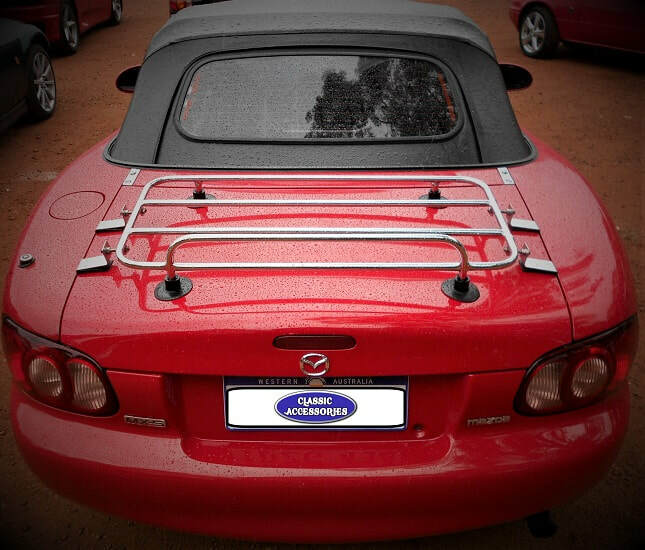 We also stock contemporary styles of luggage racks for more recent and current convertibles such as the BMW Z3, BMW Z4, Fiat 124 Spider, Mazda Miata (MX5), Mercedes E Class, Honda S2000, Porsche Boxster, Smart Roadster, Toyota MR2 and the VW Beetle Convertible. We offer secure online ordering using Visa, MasterCard or Amex via PayPal, BACS (UK only), IBAN (Europe only) or SWIFT direct wire transfer. 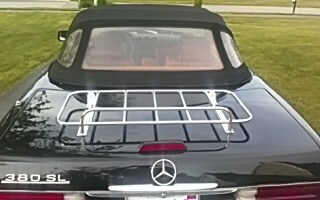 Fast, fully insured worldwide shipping powered by premium carriers.